You can Pay invoices and Upload Video from your Dashboard via EMMY EXPRESS. All other changes, additions, or corrections need to be emailed to the Emmy® Office emmy@emmysf.tv by the submitter of the entry (the person the filled out the entry form). 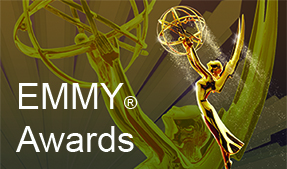 ONLY NAMES LISTED ON THE MASTER ENTRY LIST ARE ELEGABLE TO BE NOMINATED AND OR RECEIVE AN EMMY® STATUE. We will be contacting you to judge income entries from other chapters. You are required to judge at least one category. Nominations Announced: Wednesday, May 8, 8am on the website. Emmy® 2019 Gala: Saturday, June 8 at the SFJAZZ Center.